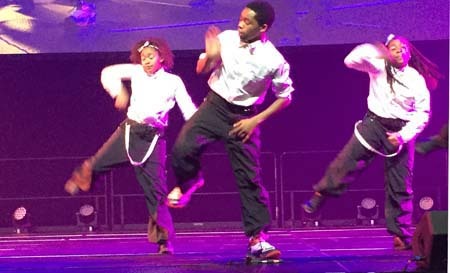 We don’t usually attend gubernatorial inauguration celebrations, but we were excited to help showcase a rich diversity of Massachusetts’ performing artists at Governor Charlie Baker’s celebration, which took place at the Boston Event and Exhibition Center. 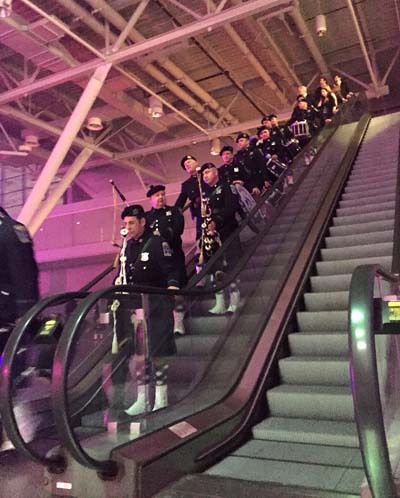 It was a logistical challenge escorting 16 performing groups to five stages throughout the evening. 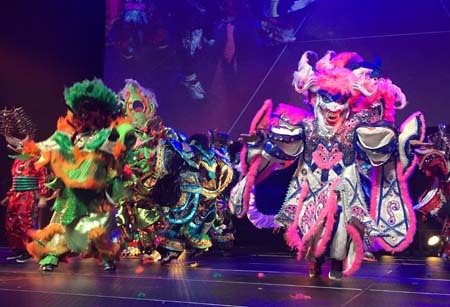 In the mix was the Irish step dancing, Cambodian court dance, police piping and drumming, a Dominican carnival comparsa, a 150-plus member high school band, two choirs, a drumming group, a Caribbean carnival mas band, and a jazz trio. 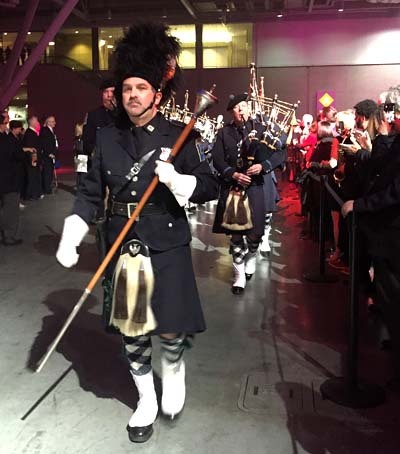 Here are a few snapshots from the evening. 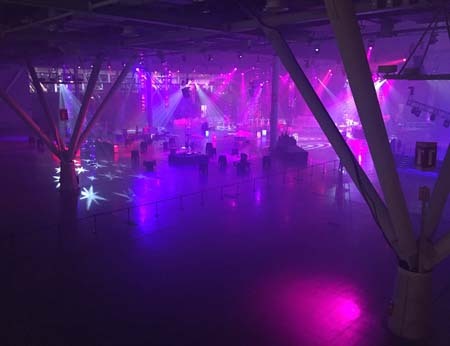 Before the inaugural celebrants arrived . 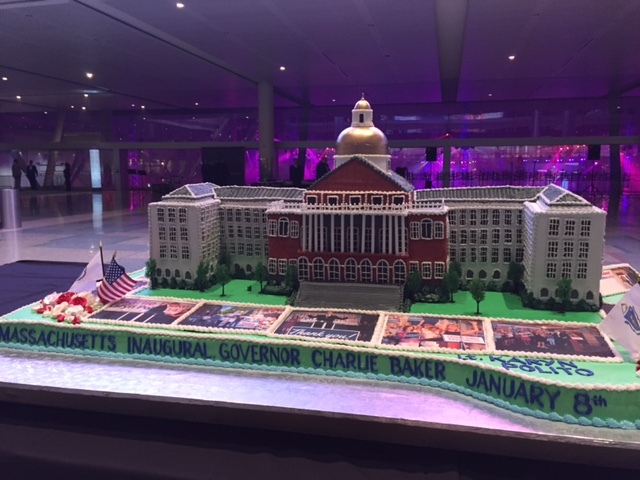 . .
A humungous cake made with edible paint, baked by Montilio’s Bakery of Boston. 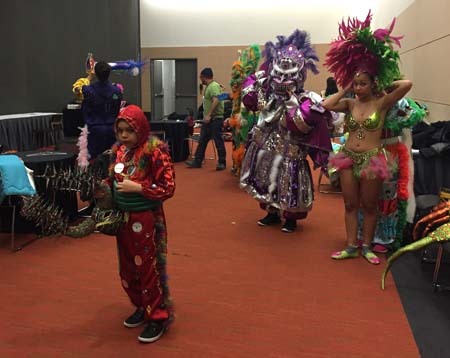 Members of Asociacion Carnavelesca de Massachusetts in their “green” room and then performing on stage. 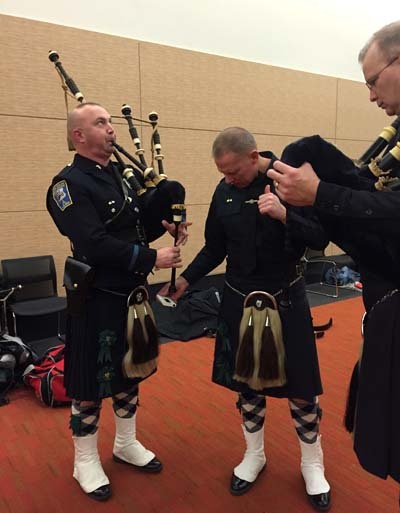 Members of the Boston Police Gaelic Column Pipe and Drums tuning up. 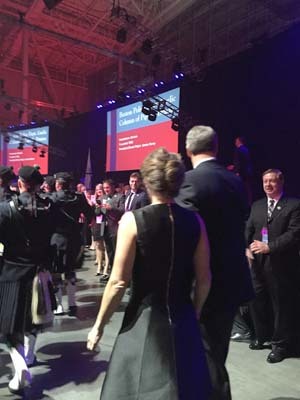 Drum Major Jim Barry leads the processional followed close behind by Governor Baker and his wife Lauren.